A few of my favorite things, summer edition. It is summertime in Texas. As of last night, we have had 58 days of over-100-degree temperatures. We will likely blow the record of 69 days out of the water. This is not a good record to break. I find myself dreaming of cool mornings. When will they get here? In the meantime, I have found a few things that are particularly refreshing in the heat. 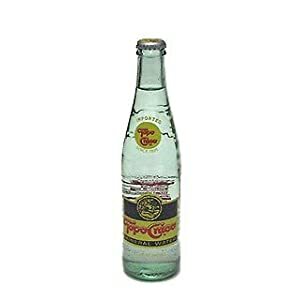 Topo Chico is Mexican mineral water. With a lime, it is a very nice treat without the calories of other beverages. But when I am fine with the calories, vino verde is a great summer wine. It is best chilled, and has a little bubbly to it. I have not met a vino verde I did not like (I cannot be trusted as a wine connoisseur), but Gazela is particularly good. It is available at Central Market and lots of other places. The summer sale at Boden. They have great clothes that don’t quite fit in the clothing budget. Their sales, however, are really great. I just bought this linen dress and it is a perfect summer dress for work (it hits closer to my knee than in the model!). Tom’s are wonderful. I think I am becoming a collector. These suckers even survived the day in the Blackhawk. Barton Springs Pool is about the only real way to cool off. At a constant temperature hovering around COLD, Scott and I sometimes start and end our day here. Our favorite morning include a run that ends with a plunge in the Springs. We simply take our shoes off and in we go! Awesome. It is free in the mornings until 8 am and after 9 pm. Often we return at 9 pm, jump in, float a minute, and then go straight home to bed. Going to bed with the cool of Barton Springs on your skin is blissful. We love it. Budget Travel recently listed Barton Springs as one of the top 10 public pools in the world. I agree. But perhaps I need to visit the other 9 to give a proper review of each. Summer times means greasy face, but I love Neutrogena’s new line of cleaners. They leave my face feeling fresh. Along the same line, their tinted, non-oily, sunscreen/moisturizer is awesome. I am in love, and have been for awhile. Even when I sweet, my face doesn’t get crazy shiny. And lastly, Snow Beach Sno-Cones. I have gone there since Don and Connie first started the business and fell in love with both them and the sno-cones! I don’t know how many summers I worked there but not once did I ever get sick of them. They are that good! I could eat them for breakfast. My hope is that before long, my favorite things has evolved into things like light-weight sweaters and hot chocolate but I think that might be awhile. My list would’ve included a picture of my air conditioner and deodorant. Sno Beach has spoiled me! I can’t eat them anywhere else-they just don’t compare! I have one whenever I am in Austin-so yummy and lots of memories!